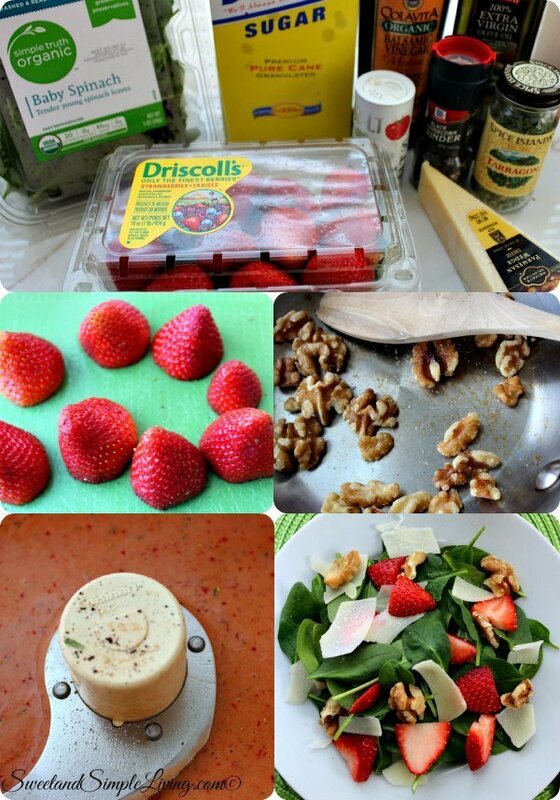 Easy Strawberry Walnut Spinach Salad Recipe! If this Easy Strawberry Walnut Spinach Salad doesn’t just scream….I’m fresh so come eat me, then I don’t know what does! 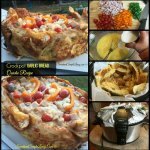 I love to have a good salad. And I’m lucky, because my son does too! My daughter, not so much, but she at least did try this one. She mostly just picked out the strawberries and walnuts, but whatever! Now, throwing this salad together is pretty simple and I almost don’t even need to give you a recipe for it (but I will). 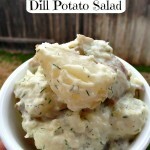 BUT…I am also going to give you another recipe to make your own dressing! 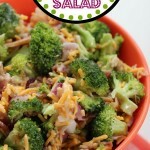 It’s a great, easy dressing recipe that you can throw together in just minutes. 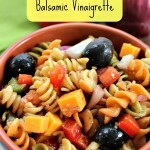 Add all of the dressing ingredients to a food processor or a blender and blend until smooth. Toast the walnuts over low heat, until slightly brown. Place the spinach on plates. 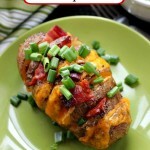 Add the shaved Parmesan cheese on top. 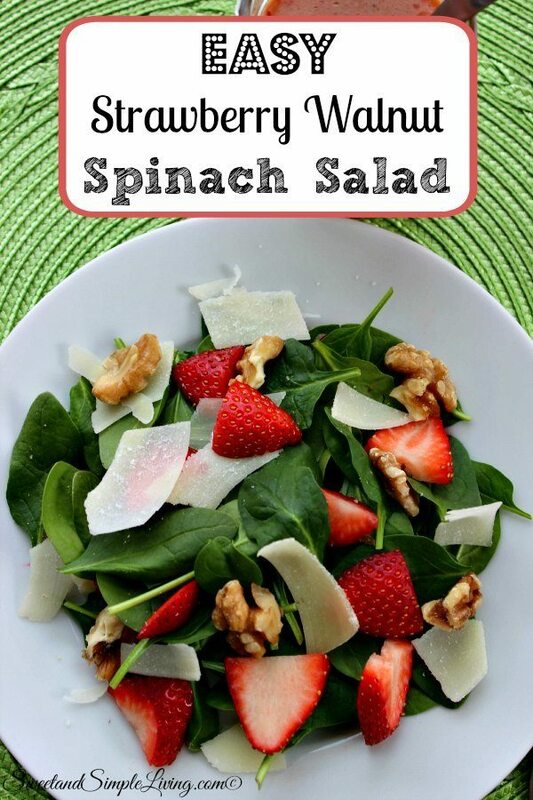 Doesn’t this Easy Strawberry Walnut Spinach Salad just make your mouth water? I like to go ahead and make the dressing, toast a batch of walnuts and then put all of the ingredients into separate air tight containers. 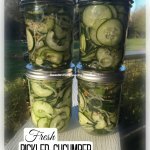 With just a little bit of prep time, I’ve got everything all set and ready to go for several days of delicious salads. 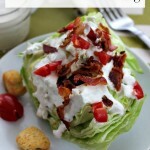 Just a few days ago, we also shared our Wedge Salad with Homemade Dressing recipe. That one is great too! 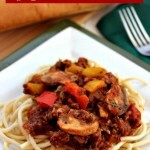 One thing that I always need when making recipes like this one is several storage containers. And this is something that I like to update, and get a new set of every few years. If you are in need of a new set, then take a look at this one. It’s got lots of different sizes of containers and it’s a great price!